Winter is now upon us and people are eager to take to the trails and enjoy the snowmobile opportunities. 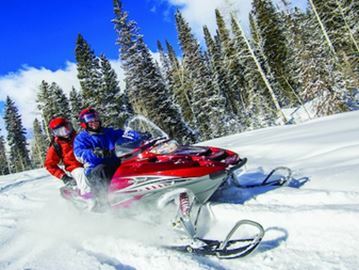 Ontario Provincial Police is sending snowmobile operators a reminder on some of the laws in the Motorized Snow Vehicle Act. Snowmobile drivers must carry their driver’s licence or snowmobile operator’s card when they ride. If your licence is under suspension, you can’t drive a snowmobile. Licence, proof of registration and proof of insurance must be produced to a police officer on demand, when operating a snowmobile. A snowmobile driver must stop for police when signaled. Impaired driving laws apply to snowmobiles anywhere in Canada, whether on private property or not. Speed limits must be obeyed. A snowmobile driver can be charged for speeding. A snowmobile must not be driven along the serviced portion of the roadway, except to cross at a right angle. This includes the shoulder of the road. Impaired driving laws apply to snowmobiles anywhere in Canada, whether on private property or not. Don’t mix alcohol and snowmobiling. The OPP and the Ontario Federation of Snowmobile Clubs (OFSC) have a zero tolerance for impaired operation. Snowmobiles must not be driven on private property without the owner’s permission; violators may be subject to a charge of trespassing. A properly fit helmet is required by law. Drivers of a snowmobile directly or indirectly involved in a reportable collision are required to call police as soon as possible. A trail permit is required to use approved snowmobile trails, when they are declared open for use. Dress appropriately and let someone know where you plan to ride and for how long. In addition, snowmobile owners are encouraged to check out snowmobile bylaws with the municipality that they ride in. OPP will be conducting RIDE programs on area snowmobile trails in an effort to deter impaired driving. Snowmobiling can be an enjoyable winter activity. Follow the rules, be respectful of others and ride safely.